Your client can sign your proposal immediately, eliminating the need for unnecessary intermediary steps (like printing, signing, and faxing it back). Clients love the convenience of a paperless solution, and it often presents for them a novel way to remember you. Bidsketch's electronic signatures are compliant with US and International e-signature laws, making your proposals legally binding. 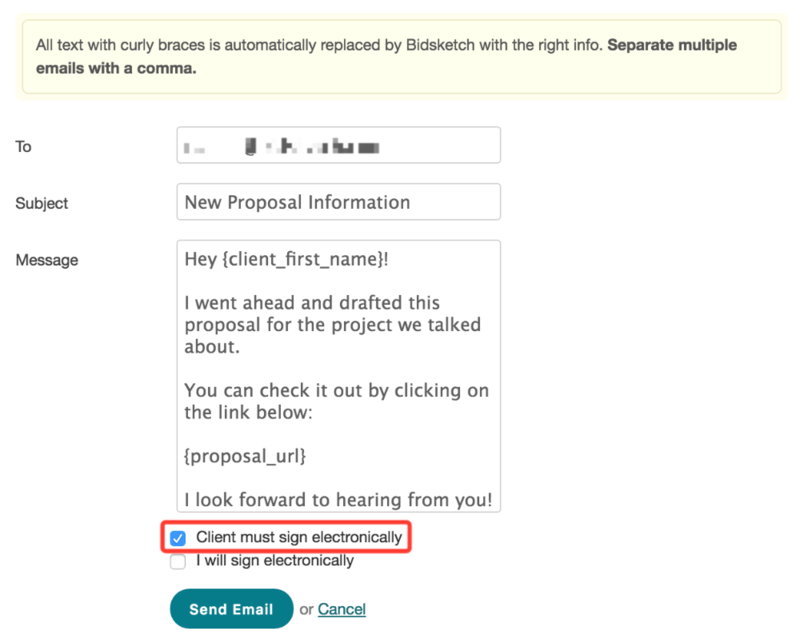 When you sign up to Bidsketch with a Freelancer, Studio, or Agency plan, the electronic signature feature is enabled by default. It's set so that your client is required to sign. 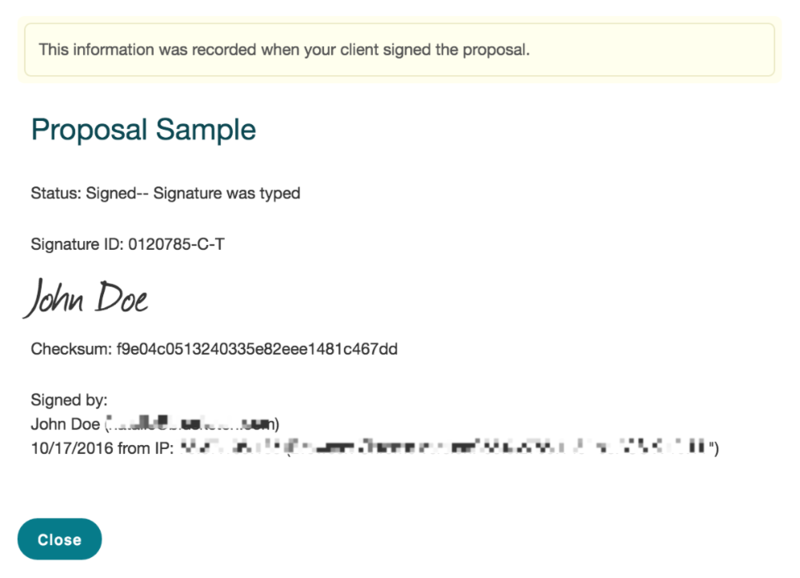 When you're ready to send your proposal, this modal will appear with the electronic signature feature already checked. You can disable it by simply unchecking the box. If you want to set it so that both parties are required to sign, just check both boxes and click the “send email" button. 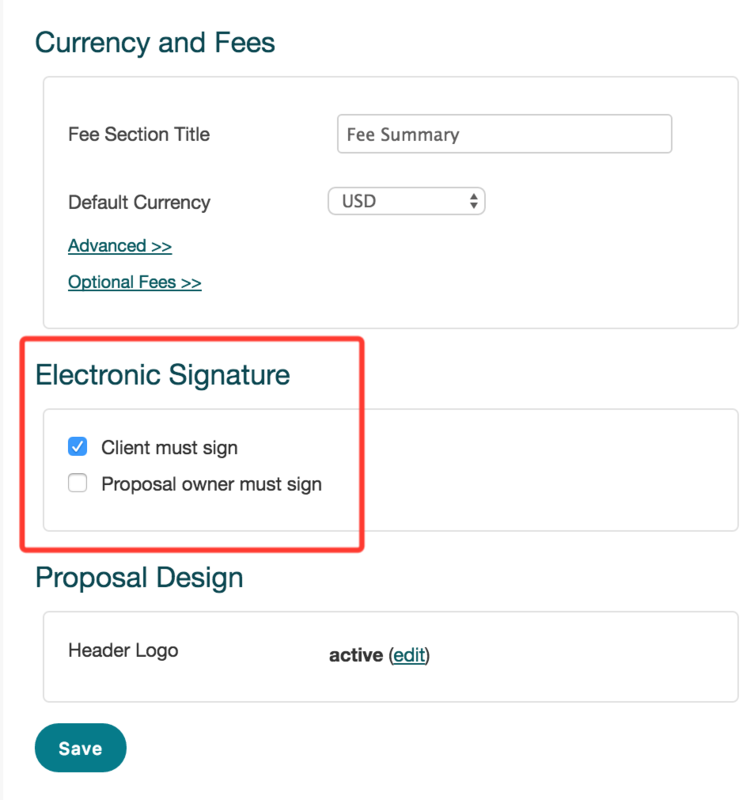 Note that if you have the electronic signature feature set so that both parties must sign, you'll be prompted to sign the proposal before it's sent to the client. Once your client has accepted your proposal, they'll be presented with this modal. They have the option to type their name, or draw their name with their mouse, by clicking on the link in the middle. Once they've signed, they'll click the “accept" button. 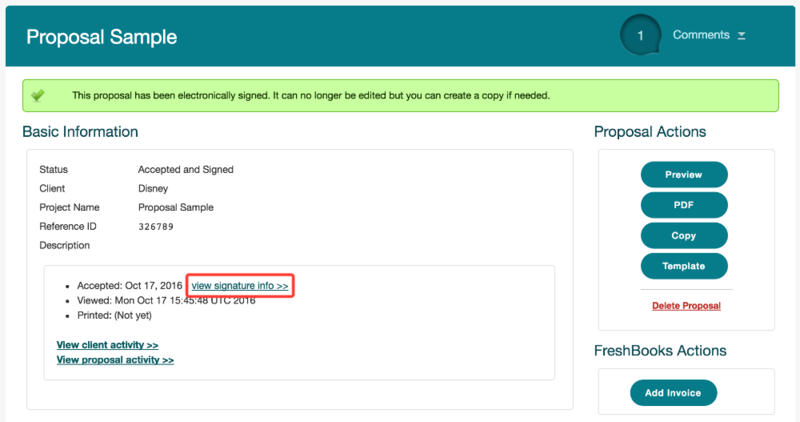 This modal gives them the option of downloading the PDF with the signatures at the bottom of the document. They can download it, or just click “ok." Note that once the proposal has been signed, it's locked and can't be edited. You'll be able to see that the proposal has been signed, and can view the signature info here. You can also download the PDF with the signatures at the bottom of the document, for your records. 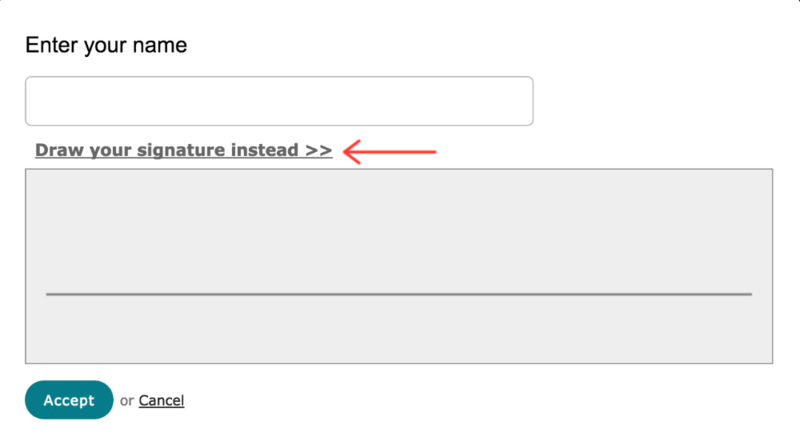 If you want to disable the electronic signature feature, you can do so in your account settings. Go to your account settings, and into the settings menu. 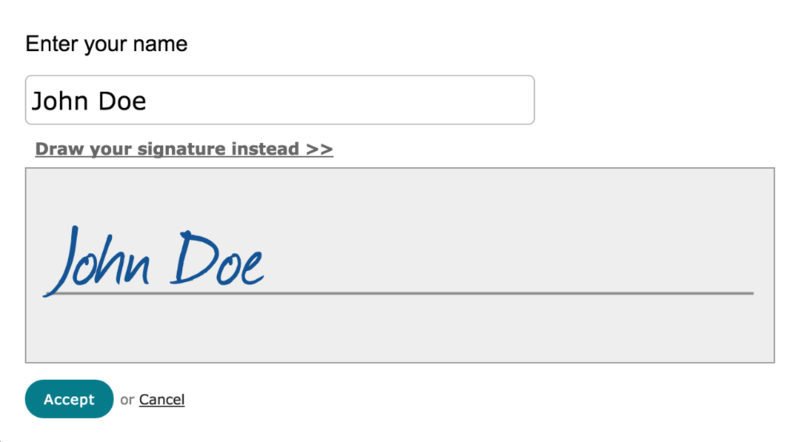 Scroll down to the section that says, “electronic signature," uncheck any boxes that are checked, and click “save."